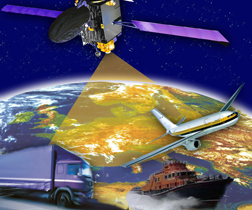 The ENAC (Ecole Nationale de l’Aviation Civile) course "GNSS: Principles, Augmentations and Evolutions of EGNOS" will be held at the ENAC Administrative Head Office in Toulouse, France on May 12 – 23, 2014. The two-week course will first introduce the basic GNSS principles and the recent GPS, GLONASS, Galileo and Beidou evolutions. It will then address the needs of Civil Aviation when it comes to satellite navigation and the augmentation requirements (ABAS, SBAS, GBAS) with a special focus on EGNOS, the European SBAS initiative. RNAV and PBN concept will also be addressed. The theoretical input will be illustrated by simulation tools located at ENAC, and industrial visits. General consideration on navigation, Operational requirements and strategy. General consideration on EGNOS, WAAS, Operational requirements and strategy. Course Director is Christophe Macabiau, ENAC Science and Air Navigation Engineering Department, Toulouse. The course will be conducted in english. For further information, and to register for the course, contact Sandrine Castiglioni at the email address below. Ismael Colomina: GNSS, Of Course!